Marc-Andrew is proud to be part of the Berkeley Food & Housing Project team and mission, and looks to maintain a strong infrastructure to ensure the organization’s continued success in delivering vital services to the community. Marc-Andrew brings over twenty years of experience in financial and operational leadership, working with large international for-profit corporations as well as small, community-focused non-profits. Adept at delivering an organization’s mission through sound and effective business practices, he is a trusted and respected business partner. Converting his law degree into a career in corporate finance, Marc-Andrew is skilled at operational analysis, maximizing value, evaluating an organization’s strengths and resources and leveraging those resources for ongoing strong results. When an effective change manager has been needed, Marc-Andrew has been pivotal in driving non-profit organizational restructuring, finding creative financial and operating solutions, including diversifying revenue streams or refining board roles and structure, to strengthen the organization and provide a framework for future stability, prosperity and growth. Marc-Andrew received his bachelor’s degree from the University of Southern California before attending law school at the University of California, Berkeley. 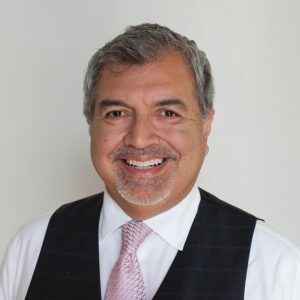 He has volunteered as Board Chair for the San Francisco Hispanic Chamber of Commerce, and has served on the Board Finance Committee of Save Mount Diablo, a land conservancy organization.